I was born In the early fifties, I spent my first four years in Calif., At that time my Father was in the Navy, And it seems he had been in one of the Atomic Tests in the pacific, Of course they told him nothing to worry about, So upon returning home on leave my mother became with child. Now I really can't say for sure that being the prodigy of an irradiated father had anything to do with my problems but I'll take a wild guess here and say it didn't help. Well I know your all curious or you wouldn't be here so here goes. I was born Intersexed that's the politically correct term for having body parts of both sexes. Well a very thoughtful doctor, About a week or so after birth decided there were enough pieces parts to make a boy so he decided to fix my little problem. He cut and stitched my flesh and presented my mom with what appeared to be a bouncing baby boy. Well it seems he made just one minor mistake he forgot to stitch my brain to match. 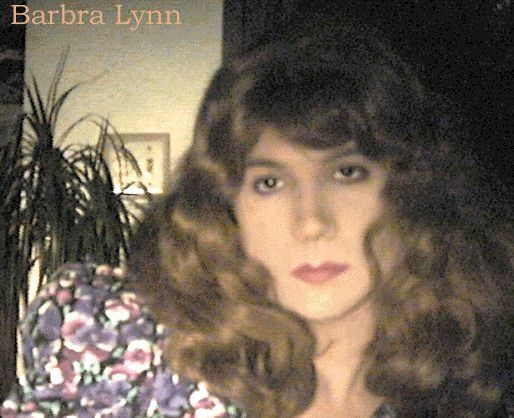 This led to considerable confusion in my life as I had always felt I was a girl and to the fact I was never told about this minor adjustment to my body, All in all it took me 30 some years to figure out it didn't take 200+ some stitches to get circumcised. Well after moving from one base to another throughout Calif. My parents upon my fathers discharge settled in Pa., As I understand it I did allot of feminine things as a child, But then came the teasing. So I put on a masculine disguise and pretended to be a boy, I generally went overboard trying to prove my masculinity and show the world I wasn't a girl, Living the lie just made me a tad suicidal but I just incorporated it into the disguise, I did a lot of high risk things and figured if I screwed up at least I would die in the middle of an adrenaline rush . I also figured God couldn't hold it against me because it wasn't outright suicide. Well God watches over fools and idiots because I'm still Here. In my over zealous pursuit to prove my masculinity got heavily into pumping Iron. It served two purposes for one it provided a good male image to present to the world and secondly if I dressed as Barbra I looked quite ridiculous, Which basically kept her in the closet for most of my life. But then life took a big twist. Well I had a wife and good health and a great job, I lost all three in that order. The wife found out I was TG and couldn't handle it. Three years later I caught CFIDS that resulted in a slow steady loss of muscle from lethargy a major symptom of the illness also I was gaining considerable weight because the doctors were prescribing allot of cortical steroids to counteract some of the symptoms. Anyway after 7 years I finally regaining My health and I decided to lose weight and undo what the steroids had done to my body. Well I went on a strict vegetarian diet and as the weight slowly melted away the day came when I suddenly saw Barbra staring back at me in the mirror instead of a boy in a dress. That was the day when what I thought impossible became a reality,, It sent me into a tail spin and the next thing I knew I was down to 137 lb. and I was dressing quite often and perfecting Barbra's, poise and appearance, She was slowly growing in confidence but had not yet ventured out. Well rumors were going around work about my weight loss from anorexia to aids. Then the next event happened, I lost my job because they thought "No one goes from 224lb to 137lb unless they have Aids", And telling them the truth of the matter that I was just turning into a girl would not have flown any better with them.